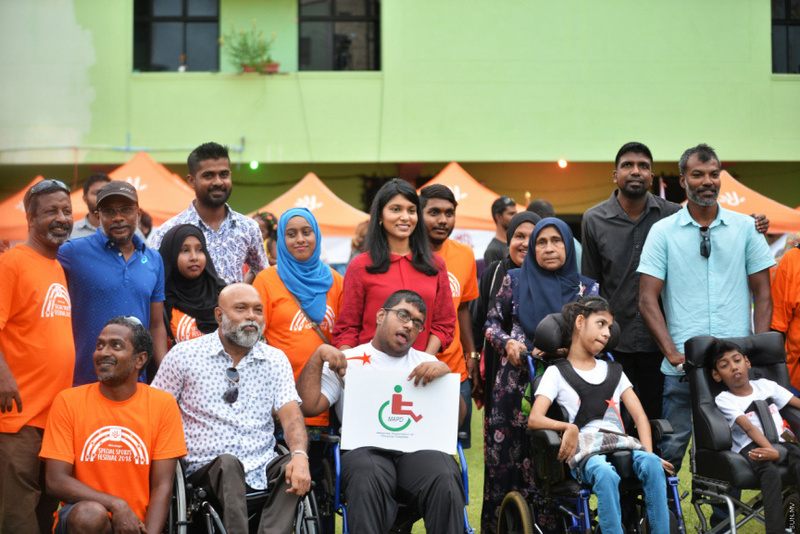 Telecom company Dhiraagu held its annual sports event the Dhiraagu Special Sports Festival this year with more than 350 children with disabilities. The sporting event was held at the Henveyru Stadium last Monday evening. 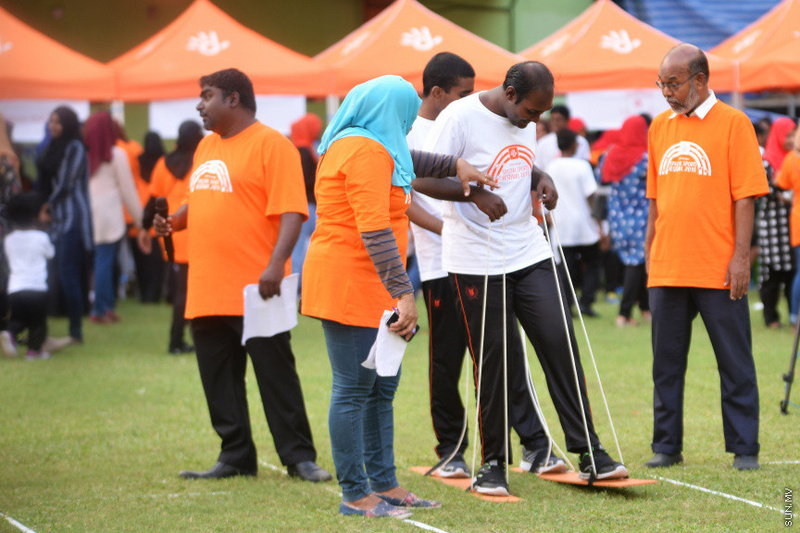 Dhiraagu noted that the sporting event this year was its most successful yet with over 350 participants, compared to the 17 participants it started off with back in 2011. 11 schools in Male’ City and four NGO’s participated in this year’s event. Dhiraagu reports the sports played at the festival were decided on after discussions with the schools and NGO’s which partnered in the event. Dhiraagu also introduced the precision ball sport boccia – a Paralympic sport – at this year’s event. The company also held a pre-event with races for children of different age categories. 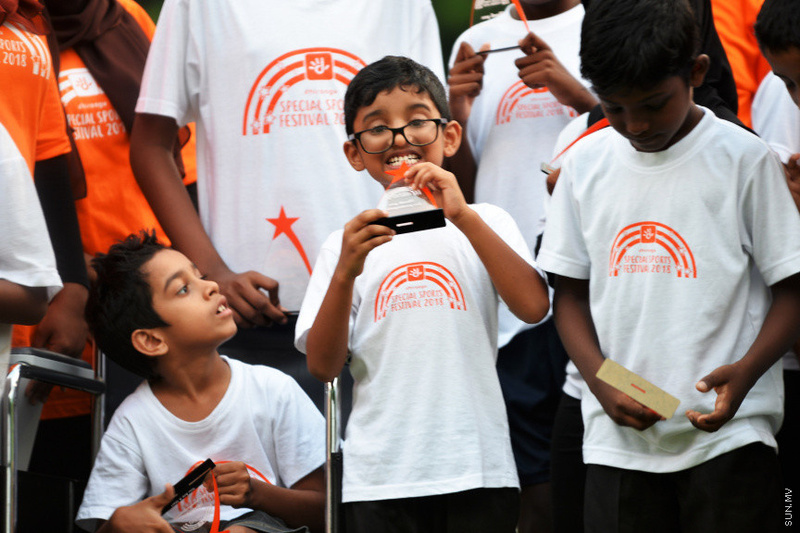 Dhiraagu Special Sports Festival is a corporate social responsibility project launched by Dhiraagu in 2011. The company says the purpose of the event is to create a competitive sporting environment for children with disabilities, same as any other children.